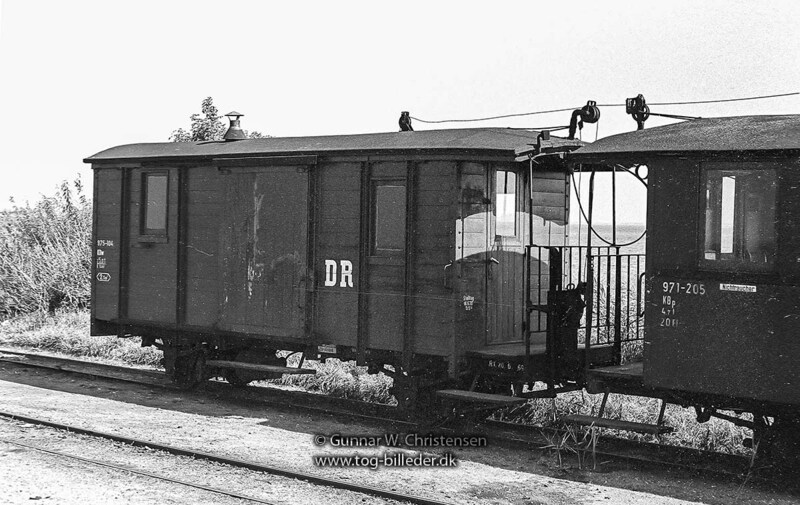 The length of the prototype was 6,7m and wheelbase 3,5m which matches the model almost exactly. It has one veranda and sliding doors each side, so it is a pretty good match except for the "minor" differences of the third window and curved end roof. I removed all the electrical gubbins (wheel pickups, internal lights and 2 rear lantern lights) and saved those for another project. I removed the fancy roof supports and vacuum brakes, and added a coupling hook; I like to have both ends hooked on my rolling stock. Then I set to with various cosmetic changes. 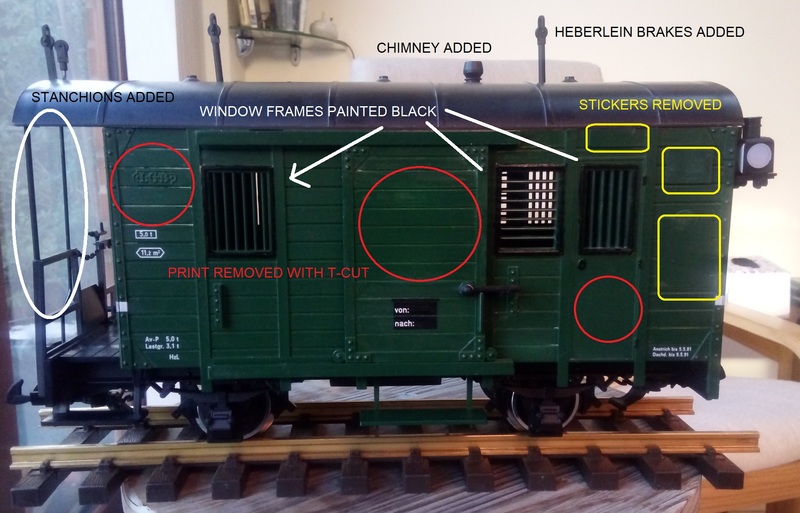 I removed the stickers carefully (for future reuse), the unwanted printing with T-cut and painted the windows frames black. 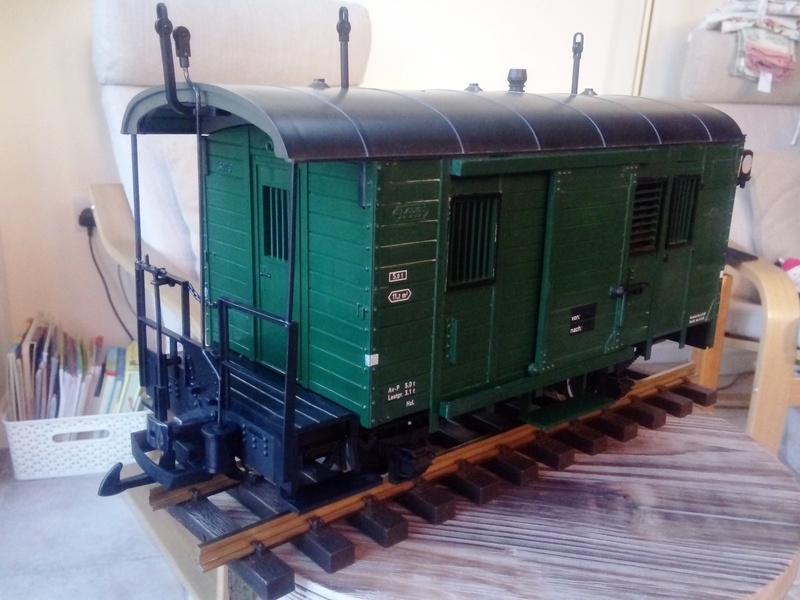 I added a chimney (these vans had stoves) and Heberlein braking equipment from an accessory pack for an LGB 30090/35090 which I got from Glendale for £3. Finally I added a couple of roof stanchions from some scrap plastic rodding. End result below. Just needs a DR logo and some proper running numbers, but for now I’ll pretend the logos are hidden by the open sliding doors. Look very good, Dave. What are Heberlien brakes, please? A cable/rope connects loco & wagons over rollers which (if the cable is released) lower a friction roller until it touches the axle. Re-tensioning the cable will release all brakes. Fun fact is that a Heberlein-brake can only be tested in motion when the axles turn. 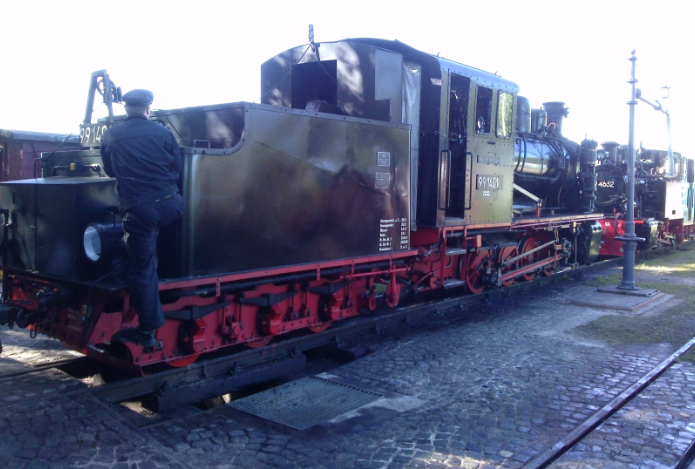 For the 2018 NG Festival @ the POLLO we equipped the MBB No.20 with Heberlein-Rollers from the chimney to the tender. Thanks Dan. Yes the post van as supplied does look rather toy-like. 65 1057 thanks for explaining Heberlein brakes and your real world experience! Thank you, Andreas. It sounds as if it could be exciting! Nice! I like these conversions! They were probably better than what was present before I.E possibly nothing except for the Loco Reverser. Thanks. Very inspiring. Takes all the toylike quality away. We will all be competing for second hand post wagons. 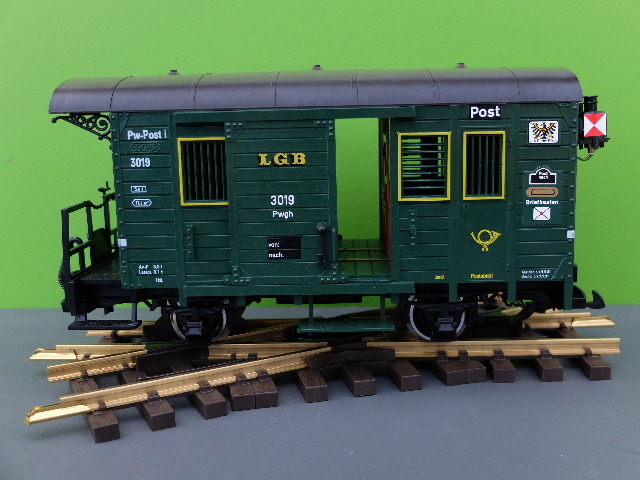 Feld Grossbahn sell a set of 5 DR transfers which I have used to back date stock. Thanks Simon. I had a look at feld-grossbahn.de but I couldn't find the DR transfers you refer to, do you have a specific link please? Normally I use Herr Troeger's stuff http://www.troeger-2m.de/ but they are quite pricey. Not an easy web site to navigate but hopefully this will take you straight to the page. Thanks Simon. I found it in the end and have ordered a few. They are way cheaper than troeger and postage to UK only 4 €. Good, glad they are of use. They sell some great stuff. I am going to buy one of their kits to convert a Newquida coach when I have the money.